Fast forward to 24 year old Gela – I can’t leave the house without these in my bag! Gone are the days of me just wearing a small sling bag (Huhu! I own so much mini sling bags!). 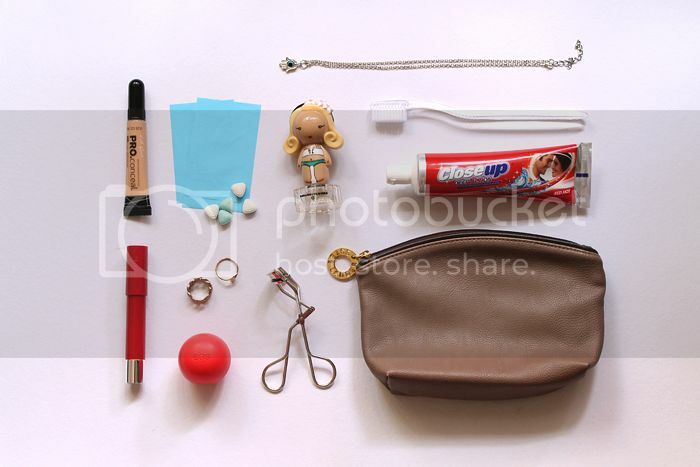 Not in the photo: a small spray bottle of alcohol, tissues, and floss! I feel incomplete without my mints, blotting sheets, eyelash curler, lip balm and tint, concealer, perfume, extra accessories (for those emergency OOTD/plain jane moments), and the latest addition to my kit – Closeup’s Deep Action toothpaste! 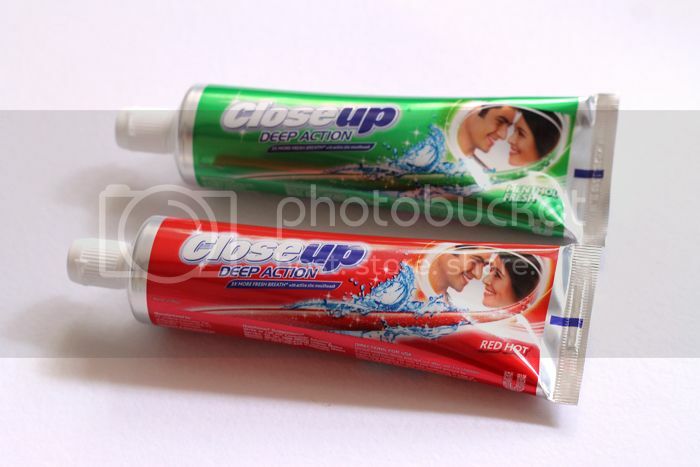 Closeup’s Deep Action Toothpastes – gives you 3x fresher breath and whiter teeth! 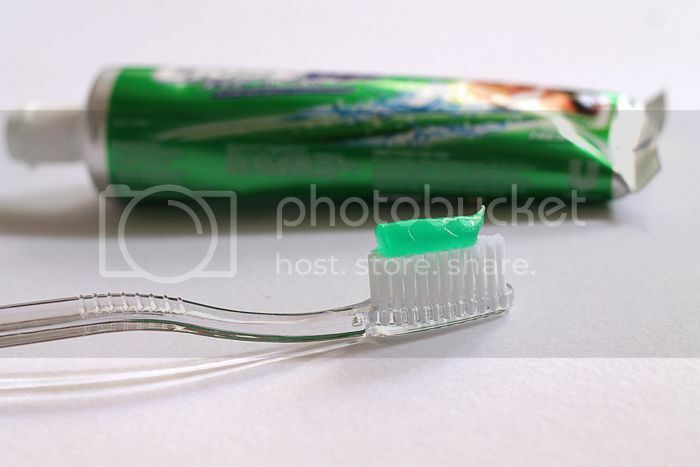 I’m a fan of oral hygiene (I’ve said this before) and so, it’s really a must for me to carry around some floss, a travel toothbrush, and toothpaste. 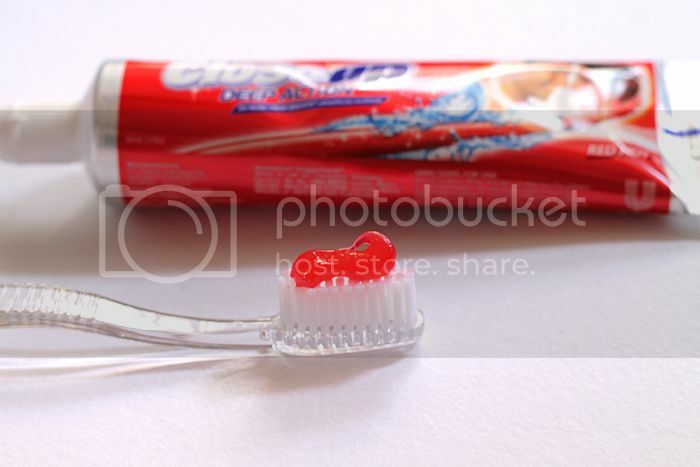 I’ve used Closeup before, so I wasn’t surprised that fresh breath and a really deep clean feeling came with using it. I would describe it as a multitasking toothpaste – I feel like I’m brushing my teeth and gargling mouthwash all at the same time! No wonder I feel that way when I use Closeup Deep Action – it actually has Active Zinc Mouthwash in it! Aka that’s why my mouth feels so clean, COOL (like literally cool), and super fresh after! The Deep Action toothpastes come in two flavors – Red Hot (a red, strong mint flavor) and Menthol Fresh (a peppermint-y flavor). I personally love the spicy goodness of the Red Hot flavor! Now, Closeup wants to make your kikay kits a whole lot fresher too! Come and join the #KIKAYKITxCLOSEUP campaign on www.clozette.co/closeup and get the chance to win one of ten (10) kikay goodie bags! So, what’s inside your kikay kit? Message me and let’s be all girly about it! Teehee!